You must not fail to take a DUI charge seriously. A DWI conviction stays on your record for life, and for the next decade, it counts as a prior offense if you are prosecuted again for DUI or another crime. A DUI conviction is punishable with jail, fines, probation, a driver’s license suspension, and other penalties. Take the charge seriously. You must not fail to show up in court. If you don’t appear, you’ll be arrested, and if you posted bond, it will be revoked. When the charge is a misdemeanor, in some cases your lawyer will be able to appear without you but on your behalf. You must not fail to act to keep your driver’s license. From the date of your arrest, you have only ten days to request a hearing to contest an otherwise-automatic driver’s license suspension. 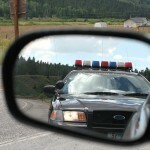 You’ll need to speak with a DWI lawyer immediately to schedule the hearing. You must not fail to put an experienced Orange County DWI defense attorney on the case immediately. Get the help you need as swiftly as you can. Discuss your case with no one but your lawyer. Especially do not post anything – even a casual comment about your case – on Facebook, Twitter, or similar forums. That’s right where prosecutors will go to seek evidence against you. If you are charged with DUI in southern California, arrange at once to retain the legal help that you will very much need. An experienced Orange County DWI defense attorney can protect your legal rights while fighting aggressively for justice on your behalf. After a DUI arrest, make the call immediately. Can You Be Deported For DUI?